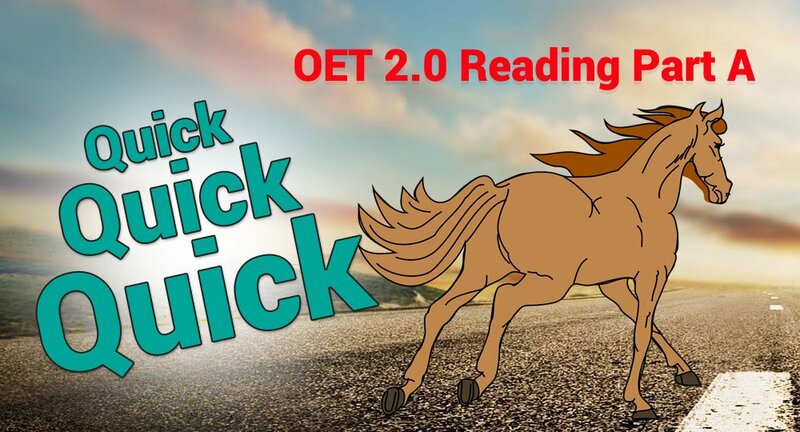 With the changes to the OET exam being most prominent in the reading subset of the test, it is crucial to be knowledgeable about each section of the test in detail. The reading test is split into parts A, B and C, and parts B and C are likely to stretch you further in some ways than part A. Read on for a comprehensive and detailed guide to what you will find in part B of the test and some top tips on how to approach the texts and questions. What will I find in reading part B? Reading part B is made up of six short texts and 6 multiple-choice questions with three options (one question per text). Each question is worth 1 mark, so this section accounts for six marks in total. 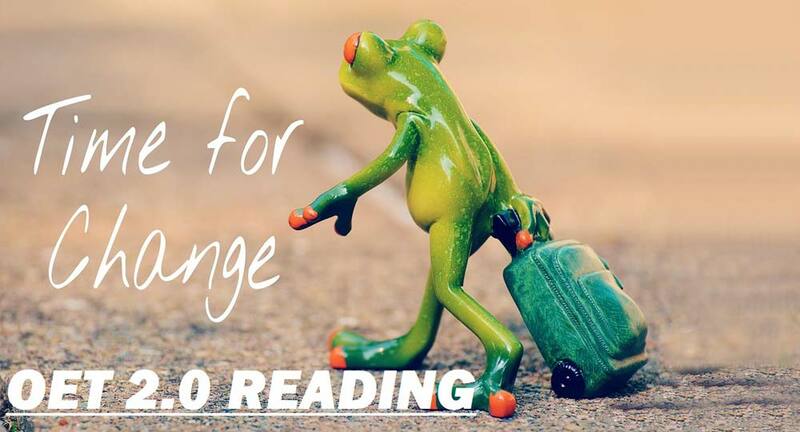 You will need to read the texts thoroughly enough to understand them and read the complete text without missing anything, but fairly swiftly so that you do not spend too much time on the reading. We will go into more detail about how to approach the reading and questions in the next section. Each of the texts is a document or part of a document from a medical work-place and will be accessible to doctors, nurses and all other medical professionals. You may well have come across such texts already as they would be the kind of texts that you would find in any work-place but tailored to the healthcare setting. Examples of the type of documents used are: policies, work-emails, instructions, guidelines and manuals. They will be of an informative nature and you are being assessed on your general understanding of the documents; What is their purpose, what points are they aiming to get across to the reader? You are not looking to identify specific information as in part A, but to show an awareness and understanding of the text as a whole. What is the best way to find the answer in the text? First, read the question that goes with the text and the multiple-choice answer options that go with it. Underline or circle what you feel to be the important words or phrases in both the questions and answers. This way, you will have a good idea of what you are looking for before you read the text and you can keep looking back to the question and answers as you read the text, with your highlighted phrases being the most prominent things that you see. Now is the time to read the text, thoroughly and carefully but at a good pace. As you read through each text, you will likely come across information that is related to the question. At these points, highlight this information in the text itself. Keep looking back and forth between the question and answers and the text as you develop an understanding of what the main points of the texts are and how they relate to the question. In this way, by the time you finish reading the document, you should have already figured out the answer and you will not need to do too much re-reading, saving your time and brain energy! It’s easy to panic when you come across a word that you haven’t seen before or don’t know the meaning of. The passage is bound to have a few words that fit this description for most students. Even though it may seem unfair, this is not an attempt to trick you! One reading comprehension skill that is being tested is the ability to work out the meaning of a word by looking at the context that the word is used in. This a very important skill for any language learner as it is impossible to know every single piece of vocabulary in the language when you are a non-native speaker. By reading the sentence around the word and using your understanding of the text as a whole, you can usually make a good estimate as to what the word may mean in the context. Trust yourself on this; if it makes sense you are probably right or at least close enough to answer the question. By underlining the words as you go along, you can minimize any confusion from the offset, and this helps to keep you calm. Once again, do this as you are reading through the passage, as much as is possible, and this will save you time at the end of each text. Being familiar with the answer options and having them highlighted already will make this easier. You will probably come across sentences and phrases which link to all of the answers. At these points, carefully read the answer that it seems to fit with. Obviously, the test will not make it easy to see which answer is the best-fit, so you have to make sure that the wording is not trying to throw you off and look a little beyond the words themselves into the actual meaning using inference. 5. Find the right answer! This should be easy by now as you have done all of the work already! Do a quick second skim and scan to make sure that you are sure your answer is correct, breathe and move onto the next question. Use our five top tips for passing the reading part B when you are completing your practice tests using samples (the more the better) and they will become second nature so that when exam day comes, you can use your method and know that you have a system that works! Very nice and precise. Thanks.